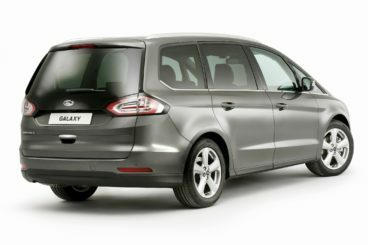 The new seven-seater Ford Galaxy Diesel Estate is a hugely practical family car that can also work well as a taxi. It’s large, super spacious and drives better than its size might have otherwise lead you to believe. The Galaxy is a name that’s been around for two decades now, and it’s become a name that families can trust. But while more and more people are buying SUVs instead, the Galaxy remains popular with those who prefer a more traditional body style. Ford have been manufacturing cars for over 100 years, to find out more about their history read our summary here. OSV takes a closer look at what it’s all about with our 2018 Ford Galaxy Diesel Estate review. This is a big, bulky car – but it still drives well. 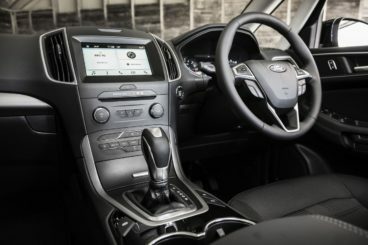 It’s typical of Ford to come up with a large family car that handles almost as well as a Hatchback, and the Galaxy is a thoroughly enjoyable and engaged cruiser. That said, the focus first and foremost is very much on passenger comfort. At low speeds, the car is quiet, and it remains quiet out on the motorway. Ride quality is good, with the suspension not being too soft but just the right amount of supple. Its positive steering inspires confidence, and the car does well to resist body roll. Grip is good too, but if you want as much as possible you’ll need to specify four-wheel-drive. The car still won’t be as responsive as a sports car, and you’ll always be aware of its weight, but it can still offer a better driving experience than most in this class. In terms of its engines, a 2.0-litre TDCi diesel that develops 148bhp is the top seller. It can get you from rest to 10.9 seconds and clearly has enough mid-range shove for most buyers. Should you need more strength, though, a 178bhp variant of the same engine is available. You really feel the extra power when your car is on a full load, and a 0-62 time of 9.8 seconds impresses. It isn’t the fastest Galaxy Diesel, however. That particular award goes to the 207bhp variant of the same engine. This is a twin-turbocharged unit that can haul you from a standstill to 62mph in just 8.9 seconds. It feels powerful – it feels awesome. If you stick to either of the two smaller engines, you can specify a £1,500 6-speed PowerShift automatic transmission. It’s smooth and relaxing and comes as standard with the biggest diesel. Is Ford reliable? Read our unbiased and honest assessment of the manufacturer here. For the last couple of years now, the Galaxy has been adding a touch of class to this sector. In 2018, it’s added even more. It’s luxurious at times, always comfortable and the amount of higher grade materials used has increased. The soft leather seats look and feel great, and we think buyers will appreciate the chunky aluminium trim. You’ll find the odd bit of harder plastic here and there, but on the whole, it’s hard to fault this cabin. It all feels robust, too, and the Galaxy is a genuinely upmarket product. Then there’s the modern-look dashboard which Ford have freed from clutter. This was made possible by the introduction of an 8” high-res central touchscreen, while an optional digital display is also worth adding for more ease-of-use. Is the Ford Galaxy Diesel Estate practical? It can fit seven adults and is the brand’s biggest MPV to date. The headline news is that even its third row of seats can accommodate adults, where both head and legroom is good. There’s also a large window back there, as well as a 12v power socket. The second row of seats can slide forwards and backwards individually, and anyone sat in the second row gets a deep storage bin, three ISOFIX points, picnic tables and a 3-pin socket. The boot, meanwhile, measures 300-litres when all seats are in place and 1,301 when you fold the third row. Fold the second row too, and it extends to a massive 2,339-litres. Its load lip is low and its opening is wide. The Zetec is now the entry-level model and it’s reasonably well equipped. It comes with the brand’s SYNC3 infotainment system, Bluetooth, a digital radio, alloys, twin-zone air conditioning, power-folding door mirrors, sports seats and front and rear parking sensors. The Titanium model is the one to go for if you want more luxuries. It adds chrome roof rails, cruise control, keyless entry, automatic wipers, LED daytime running lights, tinted windows and sat-nav. The Titanium X model rounds things off with a rear-view camera, active parking assistance, a powered tailgate, heated front seats, leather upholstery and a panoramic sunroof. In terms of how safe the car is, Euro NCAP awarded it all five stars for its crash test performance. It scored very highly for adult and child occupant protection, while its standard safety kit on all models include ISOFIX child seat mounting points, a speed limiter, a tyre pressure monitor and airbags. Active lane keeping assistance and adaptive cruise control are optional extras. Prices for the standard car start out from £27,995 and rise to as much as £38,645. For more information on our leasing deals, you can check out our page here. In terms of its running costs, the 2.0-litre diesel engine is available in three separate guises but nothing really splits them on the economy front. All can return as much as 55.4mpg on a good day, and all emit 132g/km of CO2. That said, if you specify the 6-speed PowerShift automatic transmission and four-wheel-drive for the 148bhp variant, those numbers will change to 51.4mpg and 143g/km. Meanwhile, doing the same for the 178bhp changes its figures to 47.9mpg and 152g/km. It’s not Ford’s sharpest model, with the brand putting more focus on comfort this time around. Its standard safety kit is good, and the car was awarded all five stars by Euro NCAP. Seven adults can fit in here, and leg and headroom are good for all. The boxy styling won’t appeal to everyone. Ford have watered down its driving experience and it’s noticeably less sharp. Let’s see how the car fares against its rivals in the comparison section of our 2018 Ford Galaxy Diesel Estate review. The new SEAT Alhambra is not the best-looking MPV you’ll ever set eyes on, but it offers enough space for seven people and comes with useful sliding rear doors. SEAT have a knack of producing cars that drive well, and the Alhambra is another case in point. It’s quite a hefty car but it handles like something a lot smaller. It’s comfortable and fun and offers accurate, well-weighted steering. Body lean is minimal, there’s a good amount of grip available, and the car feels stable on winding roads. In terms of its engines, there’s just one diesel available but it’s offered in two separate power guises. The smaller of the two develops 148bhp, and while it’s slower and not quite as powerful as the bigger 182bhp variant, it’s cheaper to both buy and run. Moreover, the amount of performance it can offer is adequate and it can cope with the car on a full load. However, the 182bhp variant is the one to go for if you want to feel that extra power. It makes driving with seven people a cinch. Running costs? The 148bhp diesel when paired up with the entry level model and a 6-speed manual ‘box is able to return 56.5mpg at best and emits 130g/km of CO2. This gives it a BiK rating of 28%. Pair the same engine up with a higher spec model and the extra weight nudges fuel economy down to 55.4mpg. The 181bhp variant, meanwhile, is good for returns of 53.3mpg, and this doesn’t matter whether you stick to the manual ‘box or opt for the automatic. Inside, the SEAT is comfortable, offers plenty of driver’s seat adjustability, and comes with a steering wheel that adjusts for reach and height. Its dashboard is clean and tidy, and large buttons are easy to use. There are also lots of soft-touch materials here and there, and there’s very little to fault about the car’s cabin. 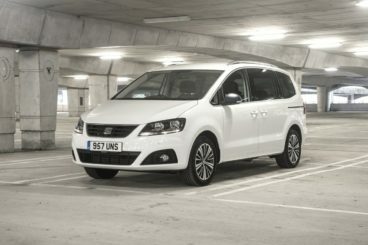 Is the SEAT Alhambra practical? It’s one of the roomiest, functional cars that money can buy right now. A flexible seating layout, sliding rear doors and 3 full-size individual seats in the second row are all highlights. These slide forwards and backwards individually, and head and legroom are good for all. The boot measures 268-litres when all seats are up, and 658-litres when you fold the third row. As such, the Galaxy’s boot is considerably bigger. The new Volkswagen Sharan is what you’d call a sensible choice for families. It still looks pretty good and boasts a practical and versatile interior. On the road, it’s one of the best cars of this type that you can drive. This is down to the fact that it shares its underpinnings with many other VW Group models. So while it’s a big, bulky seven-seater, it’s agile and even light on its feet. The steering is well-weighted, body lean isn’t too bad and all the engines are strong and efficient. The diesel range starts and ends with a 2.0-litre TDI unit that’s available with three separate power outputs. A 113bhp sits at the bottom of the range, but it’s the mid-range 148bhp variant that’s our top pick. It’s performative, copes well with the car on a full load, and completes the 0-62 dash in a respectable 10.3 seconds. A 181bhp variant rounds things off with a 0-62 time of 8.9 seconds. Running costs? Both the 113bhp and 148bhp variants are able to return 56.5mpg at best, and they both emit 130g/km of CO2. The bigger 181bhp variant, meanwhile, is good for returns of 53.3mpg economy at best and emits almost 140g/km. Inside, the first thing that will strike you as you step inside the Sharan is how dull it is. There isn’t much by the way of design flair, and it’s not an interior to excite you. Once it’s on the move, however, you’ll surely appreciate how quiet and comfortable it is. Despite being unexciting, the cabin is at least well put-together and will be able to cope with the demands of family life on the road. 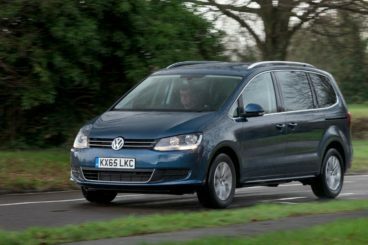 Is the Volkswagen Sharan practical? This is where the car excels. It’s big and it’s very spacious. Head and legroom are excellent for all, although the third row is really for kids only. This is unlike the Ford, where seven adults can sit in comfort. That said, if you specify the 6-seater Executive model, six adults can travel in comfort in the Sharan. There are plenty of clever storage spaces in here, including a pair of coat hooks, a cooled glovebox and a pair of cup holders, while the boot measures 375-litre with all the seats up. Fold the rear seats and you can extend that to 2,296-litres. Seven seats, a very flexible seating layout and lots of comfort, the Galaxy is by far one of the best cars in this sector. There’s not a lot it can’t do. It doesn’t drive as well as last time but that will hardly be a deal breaker for buyers in this sector, and while the Ford Galaxy Diesel Estate isn’t the sexiest car around, we reckon buyers will get over that, too.